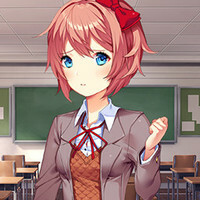 "She's depressed and stressed and she's feeling blue, so I don't want Sayori hanging around you!" "Could you have guessed? Maybe you knew? 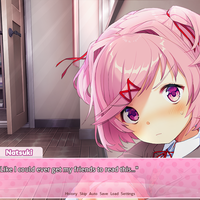 Natsuki is next; I'm deleting her, too! 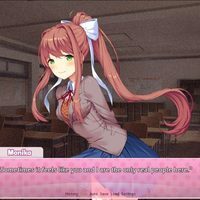 We don't need cupcakes or poems or tea; I only need you to love me!" "Manga is my passion don't you dare be bashing the writing got finesse. May you should borrow these until tomorrow. Where you looking up my dress???" 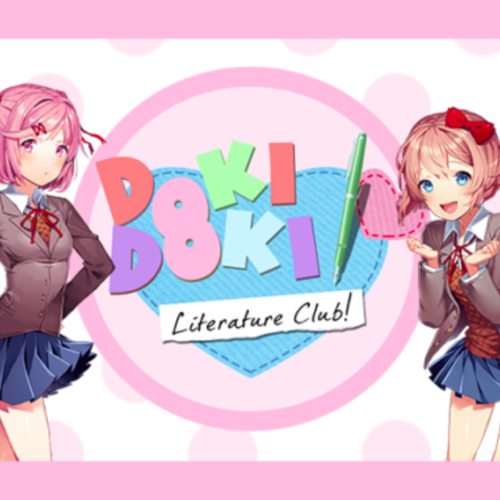 "Yo, I think there's something you should know.. I've never seen Yuri so-"
"Maybe we're friends maybe we're more how could he love a simple girl next door. I'm just not the type he's looking for"